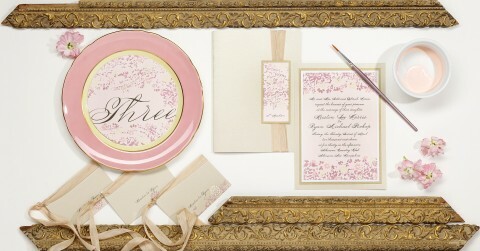 Delicate, Romantic Wedding Invitations…the Lacy Leaves collection features a fine and intricate leaf design that is the more subtle sister pattern of our signature Lacy. Lofty pom-pom blooms and sweet daisies throughout keep the look lighthearted and versatile enough for the garden or the ballroom. We especially adore the Lacy Leaves pattern atop a richly colored cardstock, the leaves then painted in creamy tones for a contrasting effect. Heavily applied brushstrokes lend obvious texture that is unmistakably hand touched. 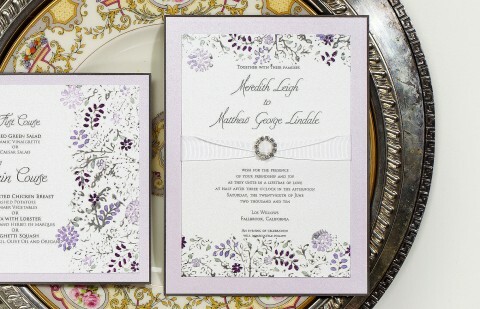 Want to see more custom Lacy Leaves invitations?